What would you give to be happy and free? Well, for us it meant freedom from the hum-drum routine of running a business, going to work, maintaining a home and living a materialistic life, full of daily stresses. But then house sitting and remote working changed our life forever. Another level of freedom came when we sold both our homes and pretty much all of our possessions. We kept a few things, but only items that would enhance our life as we embarked on a journey that would take us around the world. 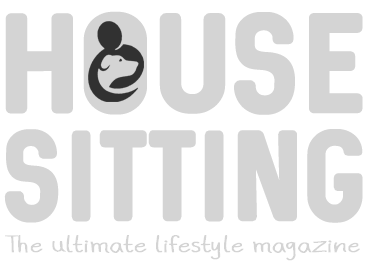 Our lifestyle now consists of continual travel and worldwide house sitting, while we work remotely as publishers of House Sitting Magazine and our online video course, “Become a Successful International House Sitter”. We also do some affiliate marketing to help promote our partner products, but all on our own terms, and from ANYWHERE in the world! House sitting is our passion. It’s enabled a location independent lifestyle and semi-retirement in our 50’s. 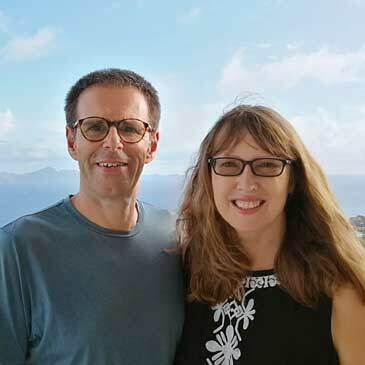 We made this work for us over 5 years, trying different approaches to earn a remote income, but all the while perfecting our profiles as house sitting professionals, who now have 50+ sits under our belts. 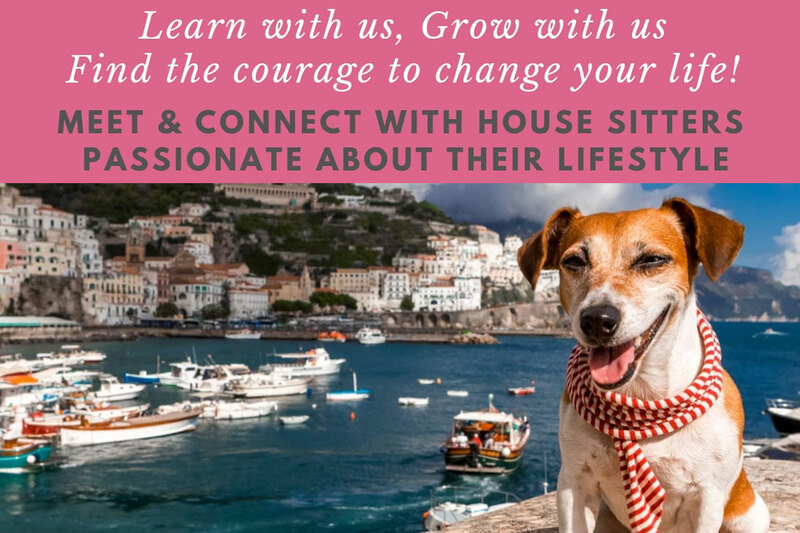 Now we enter a new phase, as we have joined together with our friends at House Sitting World to co-host the first ever international House & Pet Sitting Conference, so that you can discover too how to free yourself from whatever it is that’s holding you back from living a free and fulfilling life. House sitting doesn’t have to be full time… you can start by just extending your vacations. Make your money go further as you exchange some of your time to look after, care for and love other peoples pets, in return for free accommodation, paid utilities and sometimes even a car. This year House & Pet Sitting Conference will be held in the UK, over the weekend of 21 & 22 September 2019, at the Village Hotel & Conference Centre in Swindon. It will be your chance to network and connect with us, other house sitters, travelers, and seasoned nomads from around the world – all who have made house sitting a successful part of their lifestyle, and many, full-time. House and Pet Sitting Conference – What’s included? Two information packed days of relevant talks (a bit like TEDx) – to inspire, inform and educate, along with Q&A sessions and expert panels. You’ll get the opportunity to network over lunch (all included in the weekend ticket), and discover what works for success. Learn all the best practices and tips that will help you be a credible, sought after house and pet sitter, for the long term. Leave with all the tools and resources needed so that you can get started immediately. We know there’s lots of info online, but there’s so much misinformation out there too as people continue to promote the “travel for free” message. This conference will give you the opportunity to meet the people who set best practices, and tell it as it is. Guiding you to success with the techniques that will guarantee sits over and over. And imagine chatting and listening to some of our community’s most respected sitters and platform representatives – you can’t fail to be inspired by so much positive, creative life-changing energy all in one room! We want you to be inspired by our speakers, but mostly we want you to discover how you can have the freedom to travel and enjoy different cultures around the world – just like we have for the past 5+ years. At our optional evening events you can relax and enjoy networking with your fellow house sitters – we guarantee it will be a lot of fun! Many of you ask us how house sitting can make a difference to your life and how you can get involved too. That’s what this conference is all about. It’s to help you wherever you are on your journey towards travel and lifestyle freedom. The format is designed to equip you with knowledge, support and the resources to get you underway! There are a number of EARLY BIRD tickets available at ½ the full ticket price. UPDATE March 2019 – All Early Bird Tickets now sold, but you can still benefit from a reduction of 50 GBP off the full price for the next few months! Not quite ready to by your ticket? Then click here to stay updated about the conference. If it hadn’t been for house sitting, we wouldn’t have been able enjoy full-time travel (without dipping into our savings), in the way we have. Come and spend a weekend with us and many others that you see online supporting the community. Meet representatives from the UK platforms who keep home owners inspired to allow people like us and hopefully people like you too, into their homes to care for their most valued possessions. Be inspired to take the courage to make change for the better in your life. Learn with us, grow with us! NOT QUITE READY TO BUY YOUR TICKET?